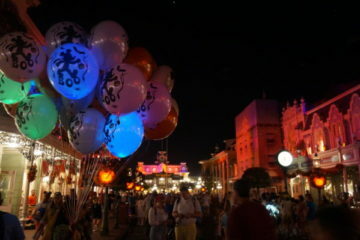 Disney World is a busy place all year round. Some attractions can reach estimated wait times of two hours or more. 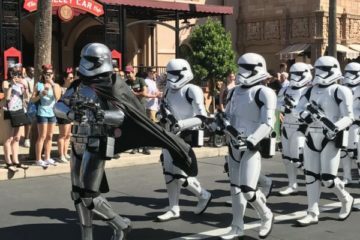 When the parks are busiest, they will even close due to capacity; this happened several times in Magic Kingdom last holiday season, and crowds are only expected to grow as Disney’s Hollywood Studios opens the long awaited Toy Story Land and Star Wars: Galaxy’s Edge in 2018 and 2019 respectively. Fortunately, there are other attractions that have little or no wait time, most of the time. You can find them in all four theme parks. Some people overlook these attractions – writing them off as not entertaining or not exciting enough. I beg to differ; these attractions can be just as enjoyable as the more popular ones, and the ability to walk on is a big plus in my book. 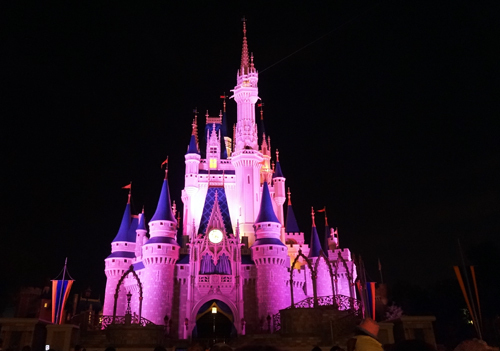 Let’s take a look at the top ten no-wait attractions in Disney World! 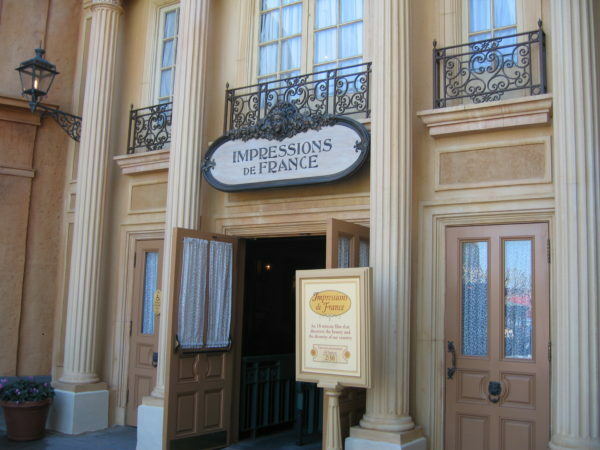 Impressions de France is in the France Pavilion of World Showcase. This opening day attractions uses Circle-Vision 360 to take guests on a journey through this beautiful country. From the French countryside to the major cities, you’ll see different regions and a variety of important structures like the Arc de Triomphe, the French Alps, Versailles, Notre Dame de Paris, Normandy, and of course the Eiffel Tower. The film is set to a musical score by classical French composers like Claude Debussy and Camile Saint-Saens arranged by Buddy Baker. There are a lot of shows on our list because Disney’s theaters are large enough to accommodate crowds. The film is 18 minutes long, and unlike some other films, there is seating. The theater is also air-conditioned, which can be a welcomed relief from the heat. The film feels just a little dated, but it is beautiful and moving, and captures the timeless beauty of France. Tom Sawyer Island is an actual island in Magic Kingdom’s Frontierland. It’s only accessible by raft, but this is the only thing you’ll normally wait for to experience this attraction. Tom Sawyer Island is a fun place to explore with no real “attractions”, so there aren’t any lines besides waiting for the raft! The island is like a really big playground full of natural and man-made areas to explore. 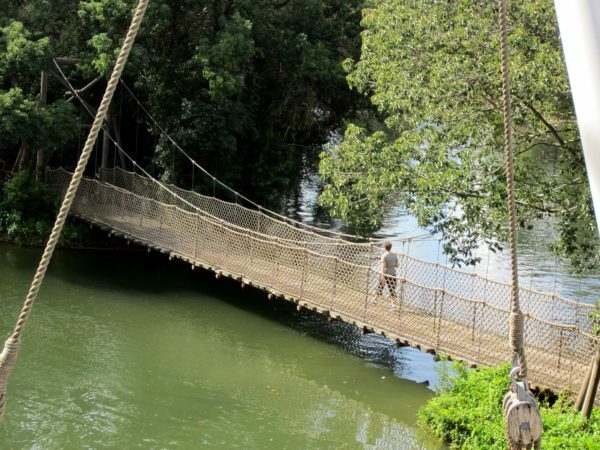 Tom Sawyer Island is a great place for kids to burn off some energy; parents can travel around with them – the areas are plenty big enough for you! – or you can take a breather on the rocking chairs on the front porch. The Enchanted Tiki Room in Magic Kingdom’s Adventureland is another classic Disney attraction. 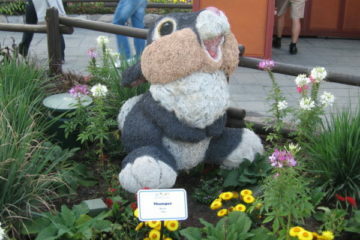 A nearly identical version exists in Disneyland, which Walt personally worked on. It was the first audio-animatronic show, and you’ll see singing birds, flowers, and totems in this magical, musical luau. 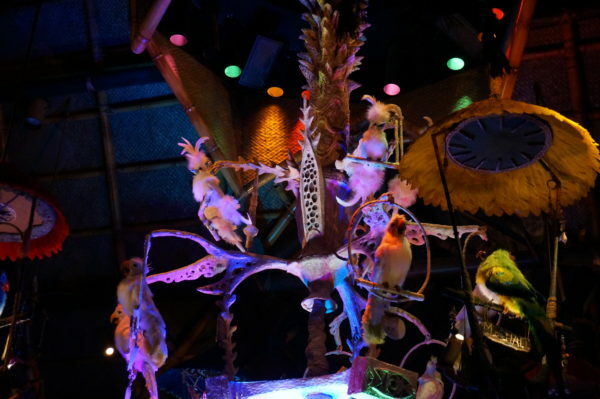 The Enchanted Tiki Room is full of audio-animatronic birds that will serenade you throughout the show! This 15-minute show is truly a delight to see, and you’ll love it even more since you can sit in the air conditioning! 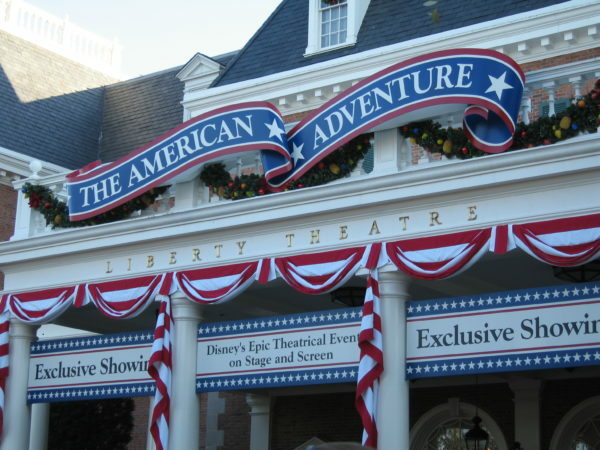 The American Adventure, which recently got a pretty significant update adding modern American heroes and changing up the theme song, is always a favorite attraction in World Showcase. The building is Colonial style architecture, and the show inside pays homage to American History. The show itself is moving and beautiful. The American Adventure is also a show, and there’s hardly ever a wait beyond just one show. 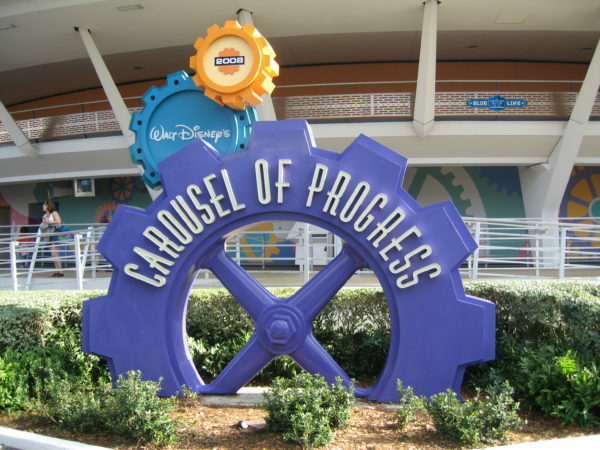 The Carousel of Progress is another classic Disney attraction steeped in history from Walt Disney to the Sherman Brothers and The World’s Fair to WED Enterprises. Besides these things, Carousel of Progress also perfected and expanded on Disney’s art of audio-animatronics. The Carousel of Progress is a very large theater, so you’ll hardly ever wait more than the length of the show. The version in Disney World is a similar to the original one from the World’s Fair and Disneyland, but several changes were made not only to the structure of the attraction but also to the storyline. It’s a really cool thing to experience, and a personal favorite. Plus, at 21 minutes, you’ll have plenty of time to cool off! The 240 seat theater means not only will there be hardly any wait – besides waiting for the next show to begin – but also that you’ll escape the crowds even for just a brief time. Living with the Land in Future World combines Disney’s classic boat ride attraction with a major goal of Epcot: teaching and learning. 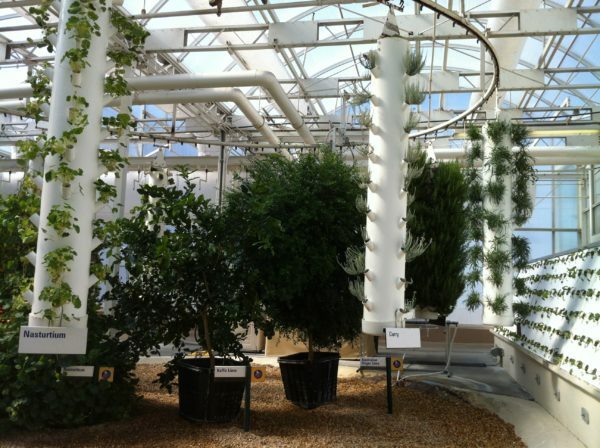 On the bottom floor of The Land Pavilion, you can board a boat and ride through a greenhouse. The opening scenes tell the story of the forces of nature and how they shape the land even when this shaping seems destructive to us. Next, the boat floats into a Living Laboratory where Disney displays some of the fruits of their labor- literally. The plants in this area have been grown using up and coming methods of gardening that are more sustainable than current practices. Finally, you go through a fishery where sustainable fishing practices are discussed. Much of the food grown here is used on property, and the rest is sent to local food banks. 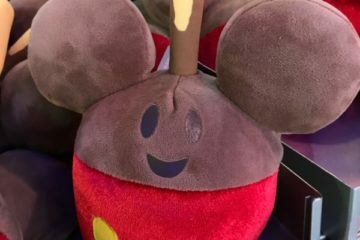 Disney is constantly experimenting with new growing techniques! The wait for this attraction is usually minimal since the boats flow constantly. Fortunately, if there is a small wait, it’s indoors. Disney’s Animal Kingdom was designed with the purpose of getting the guest lost to make them feel like they’re actually on a journey through the jungle. Going along with that theme, there are two trail-like attractions in the park. Gorilla Falls Exploration Trail (formerly Pangani Forest Exploration Trail) is less than half a mile long and is situated right next to Kilimanjaro Safaris. Along the path, Cast Members identified as research students provide information about the animals that you’re looking at. 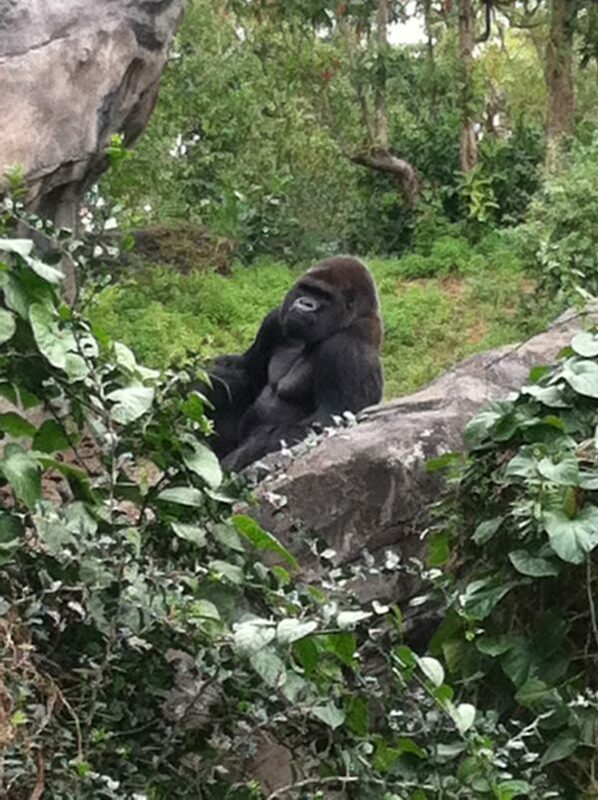 On the Gorilla Falls trails, in the Africa section, you can see lizards, spiders, hippos, naked mole rats, zebras, meerkats, gorillas, and snakes plus a verity of fowl. Get up close and personal with Disney’s animals on the two wildlife trails. Maharajah Jungle Trek is located in the Asia section of the park and is near Kali River Rapids. As the story goes, the area was once used as a hunting grounds for a wealthy ruler, but it’s since been transformed into a nature preserve. Get up close to tigers, komodo dragons, deer, flying fox, water buffalos, and gibbons. Neither of these attractions have a wait because it’s a self-guided tour with no queue line. 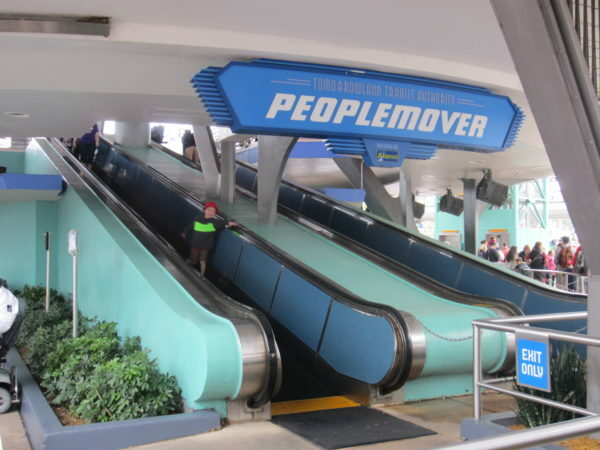 The Tomorrowland Transit Authority PeopleMover has been known by many names throughout the years including Goodyear PeopleMover and WEDWay PeopleMover. This attraction is billed as the transportation of tomorrow, so it’s appropriately placed in Tomorrowland. The PeopleMover is a classic Disney attraction that moves constantly, so just jump on when you’re ready! The TTA PeopleMover is an omnimover attraction, so the cars are constantly moving. Each vehicle consists of four cars each with two people per car, so the large capacity means there’s rarely a wait. If there is a wait, you know that it’s a busy day in the Magic Kingdom! Monsters, Inc. 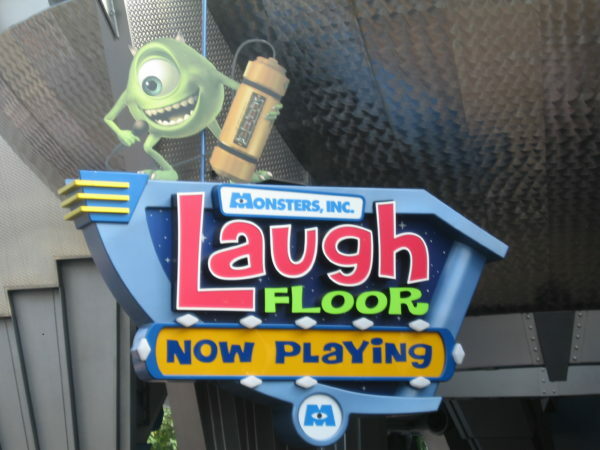 Laugh Floor is also located in Tomorrowland in Magic Kingdom, but it’s a very different attraction. Monsters, Inc. Laugh Floor bottles human’s laughs instead of kid’s screams through a pretty entertaining comedy show. Monsters, Inc. Laugh Floor can get pretty busy, but the theater holds a lot of people, so you’ll hardly ever have to wait more than 10 minutes. This attraction is almost always crowded, but the wait is only ever about 10 minutes, which is the length of the show. Plus, the massive theater means you’ll rarely wait through two shows before you get in. 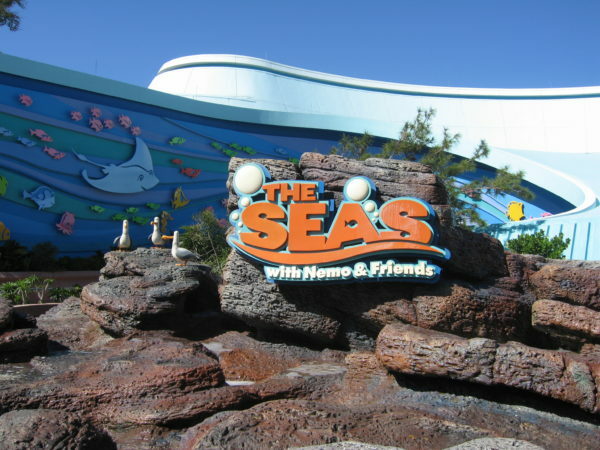 There are a couple attractions within this building including The Seas with Nemo and Friends, Turtle Talk with Crush, and The Living Seas, all of which are rarely very busy. The Seas with Nemo and Friends has a lot to offer, and there’s hardly ever a wait! The Seas with Nemo and Friends is an omnimover attraction based on Finding Nemo, and guests who board the attraction need to help Marlin and Dory find Nemo. Along the way, you’ll see some of your favorite parts of the movie including Bruce the shark and the East Australian Current. Finally, don’t forget to check out the aquarium to the left side of the pavilion where you can see a variety of fish, sea turtles, dolphins, and even a couple rescued manatees. 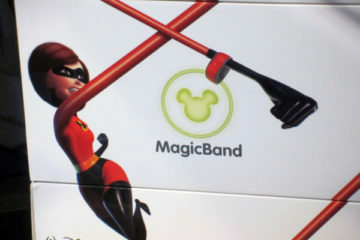 What is your favorite no-wait Disney World attraction?